All of those patterns are pretty rare, and some are really valuable. My haul has a few nice wiggle dresses, like the one pictured above. 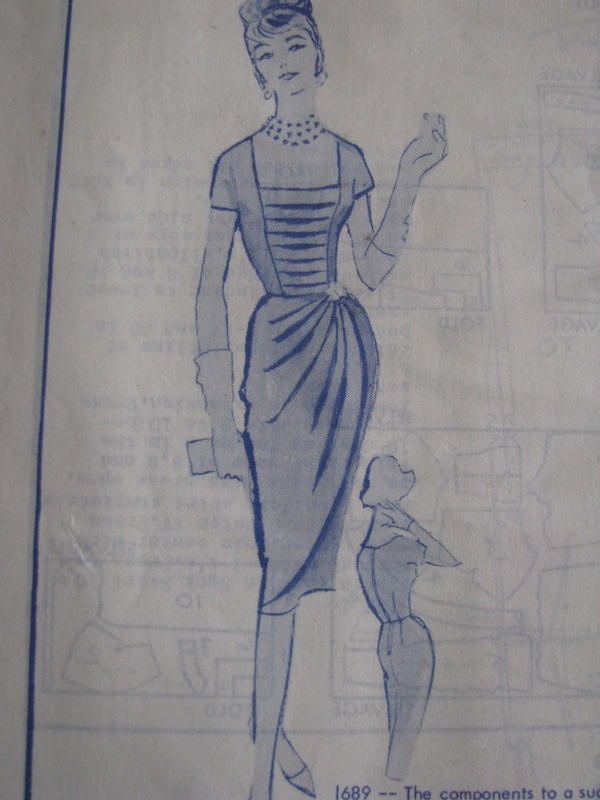 It’s Modes Royale #1689 in size 12, for a 32″ bust. All the Modes patterns are factory folded, still in their funky-colored plastic covers. Since all are a small size (and I’m too lazy/busy to resize them) I’m not going to keep them. I’m not selling my rare vintage patterns “wholesale/cheap” anymore. I’ll keep the everyday patterns at what I think are reasonable prices, because I want to encourage sewers to choose vintage. Any suggestions or comments, feel free to contact me… I’d love to hear from you! Hi there, do you have any Modes Royale patterns left?